KC Computer Services (KCCS) is a New Zealand owned and operated Internet Service provider (ISP). Located in West Auckland and the Auckland CBD, KCCS was one the first ISPs in New Zealand to provide full access to the Internet for business and private users. KCCS's main international traffic links to the Internet are a 2meg DDS (Telecom Digital Data Services) connected to Telstra New Zealand in Auckland City centre, two frame-relay 2meg links to Aaria, a 512K international traffic link to Telecom Netgate and a 2meg domestic traffic link also connected to Telecom Netgate. There are currently 71 connections into KCCS from companies and other organisations. 11 of these are dial up uucp connections, the others are connected via DDS circuits, ISDN, or short range radio modems. There are four Primary rate ISDN connections to the KC network with 180 64Kbit channels on six ISDN numbers. Three PRI are connected to Centrex and provide ISDN services to both Centrex and non-Centrex connections. All of these PRI provide internet connections to full time and almost full time business ISDN connections. Two of the Centrex PRI are in a Basic Business Group (BBG) that allows centrex connection in the Auckland Central Business district - via the Mayoral Drive exchange, and the Ponsonby exchange coverage area. The third Centrex PRI provides Centrex BBG services from the Ellerslie exchange area in south central Auckland. A further two PRI provide dial ISDN and analogue modem answering services via a Cisco AS5200 modem server and a Cisco 3640 router configured as a modem server. All 60 channels are allocated to dial in isdn, K56flex modems, and V90 modems. KCCS has been semi-private for the last 10 years. There is a limit on the number of individual user accounts, this has been set at 600 to guarantee modem connect time each day for each user. At Present (July 2000) there are 534 dial up accounts on KC. It has been the policy of KCCS for several years to only accept new users where these are recommended by an existing user. This policy has kept the total number of users to within the capabilities of the hardware, software and Internet links into KC. We consider the management of the KCCS resources to be paramount in providing a reliable and good performance services to existing users. This management includes keeping the number of users to a level that will not overload KCCS or reduce performance to an unacceptable level. Maximum daily connection time limits have not been enforced for individual users, although individuals are (in the standard subscription) paying for a maximum of three hours per day connect time. KCCS is _not_ a system for beginners, there is no help desk and users are generally expected to be already familiar with computers, usenet and be able to self learn. There is an active set of local message areas where help is often available from other users. Users who require a more supportive environment are recommended to contact Auckland PlaNet and Kiwilink ISPs who all provide excellent help desk facilities and general user support. This lack of beginner support on KCCS is not intended to disadvantage newcomers to the Internet. KCCS believes that an ISP is not the proper place for new users to be educated about the Internet. Many schools and Colleges are now offering excellent classes and short courses introducing and explaining the Internet and providing essential knowledge on what is involved in setting up and configuring the current software offerings for various computers and operating systems. Many ISPs attempting to undertake this new-user education justify the need for continued high subscription rates to cover these areas. KCCS prefers to provide an Internet connection service and use the income from user subscriptions to improve and expand that service rather than divert such income to provide expensive education and help desk facilities. Since KC started as a Bulletin Board System in late 1989 there have been different people involved in its development at different times. 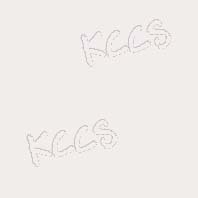 Kappa Crucis bbs (KCbbs) was originally created by David Dix and was the result of two existing Unix bbs systems being brought together and the addition of new resources to create a six dial in phone line BBS system. The first cut of the multi-user bbs software was written by David Dix and Martyn Barry. This provided a files management system and file archive, a local messaging system, multi-user on-line chat system, bulletin maintenance system and user login/security manager. In early 1990 Paul Kendall and Robert den Hartog became involved and implememnted KCbbs's first dial up uucp connection to provide usenet news and email services on KCbbs. Over the next three years Paul and Robert moved KCbbs through various Unix operating systems and created the first KCbbs network by moving usenet news to a separate news server. From mid 1993 Dion Murphy has assisted with KCCS accounts collection using the resources of his company to manage this onerous task. In mid 1994 Richard Haakma became involved in various support activities for KCCS. These mainly involved setting up and implementing an IP connected ISP to KCCS, the PlaNet Auckland system. As other companies and ISPs were connecting to KCCS throughout 1995 and 1996, Richard has contracted to customers to complete their Internet installation and connection. These pages designed and maintained by the KC webmaster. If you have any queries or comments about the KC World Wide Web pages or other services please contact us . Last modified: 10 July 2000.